More than 100 politicians, business leaders and construction industry professionals from across the Midlands and East of England met at a conference in Stamford to discuss ways to develop ‘sustainable communities’. The event – titled ‘More than bricks and mortar’ – was hosted by The Larkfleet Group of Companies which includes housebuilders Larkfleet Homes and Allison Homes. 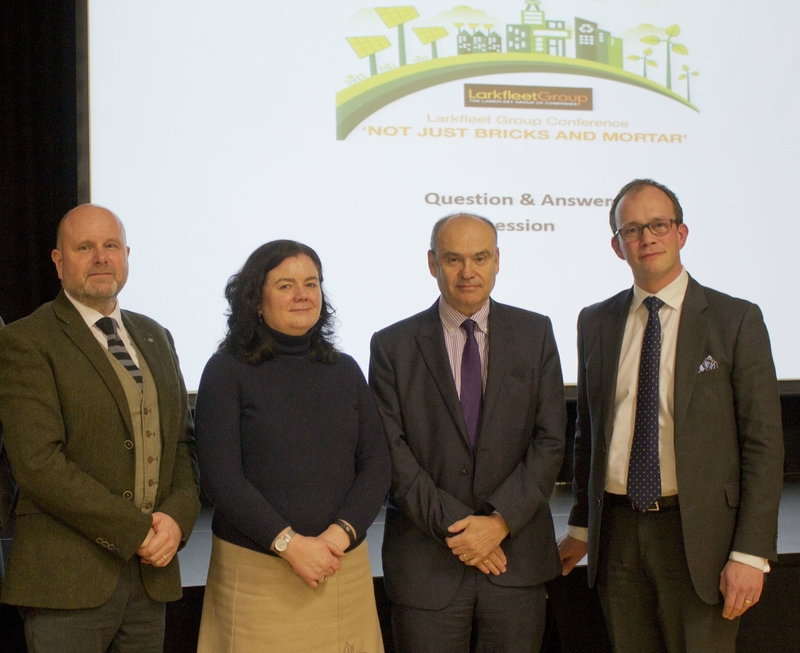 Speakers at the event included Larkfleet CEO Karl Hick; Matthew Lee, leader of South Kesteven District Council; Fionnuala Lennon from the government agency Homes England; and Ashley Dunseath from design consultancy LDA Design. In a series of presentations and discussion sessions the conference looked at the challenge of building the large numbers of homes that the government says are needed to tackle the housing crisis. The government has set a target of building 300,000 new homes every year to provide enough homes to meet demand and prevent prices continuing to spiral out of the reach of many families. That is 50 per cent more than were built last year. Councillor Matthew Lee said: “We cannot simply leave it to the private sector to build the number of houses we need. “Local councils and other public and private sector organisations need to work in partnership to create truly sustainable communities. There is more to creating a sustainable community than building houses and providing a mini-supermarket and a doctors’ surgery. Fionnuala Lennon talked about the contribution that the government’s plan for new ‘garden towns and villages’ could make to meeting housing needs through the creation of new, planned, communities. And Ashley Dunseath showed how the integration of landscape design into developments could improve the natural and built environment as well as improve people’s health and well-being. Specific issues tackled during the discussion sessions included future transport needs (will people in future want or need their own cars – and space to park them? ), the prevention of flooding and the challenges of integrating services such as health, social care, education and power supply into future plans.